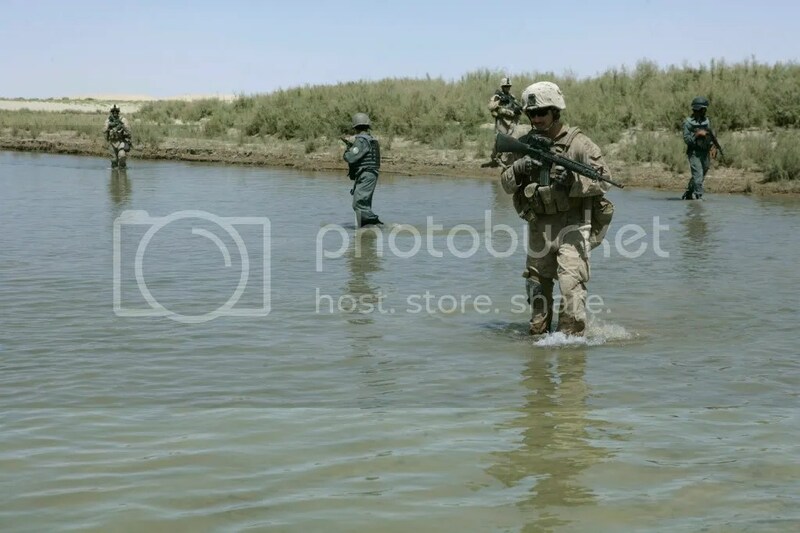 Afghan National Police officers and U.S. Marines cross a river during a security patrol in the Garmsir district of the Helmand province of Afghanistan Sept. 12, 2009. Tough conditions have tested Marines during counterinsurgency operations in Helmand province. The Marines are working to gain the trust of Afghans in the area and have made significant progress. Produced by Cpl. Aaron Rooks for 2nd Marine Expeditionary Brigade . 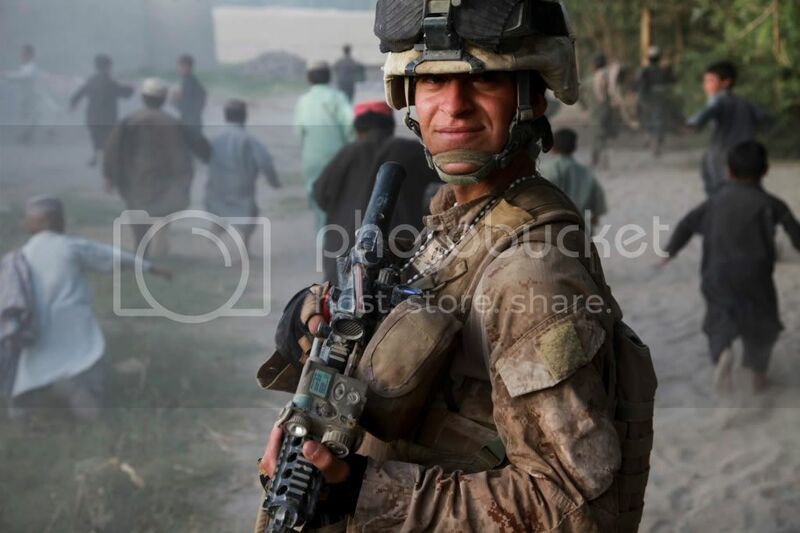 U.S. Marine Corps Sgt. Rudy Chavez provides security during a patrol in the Nawa district of the Helmand province of Afghanistan Sept. 5, 2009. Chavez is assigned to Alpha Company, 1st Battalion, 5th Marine Regiment, which is deployed with Regimental Combat Team 3 to conduct counterinsurgency operations in partnership with Afghan National Security Forces in southern Afghanistan. The defense secretary went as far as to ask the AP to reconsider distributing the photo of Marine Lance Cpl. Joshua M. Bernard. the photo not be released.